I was browsing through my neighborhood CVS a few months ago waiting for a prescription and ran across this peculiar device. Interestingly, the display was situated directly across from the pharmacy windows. 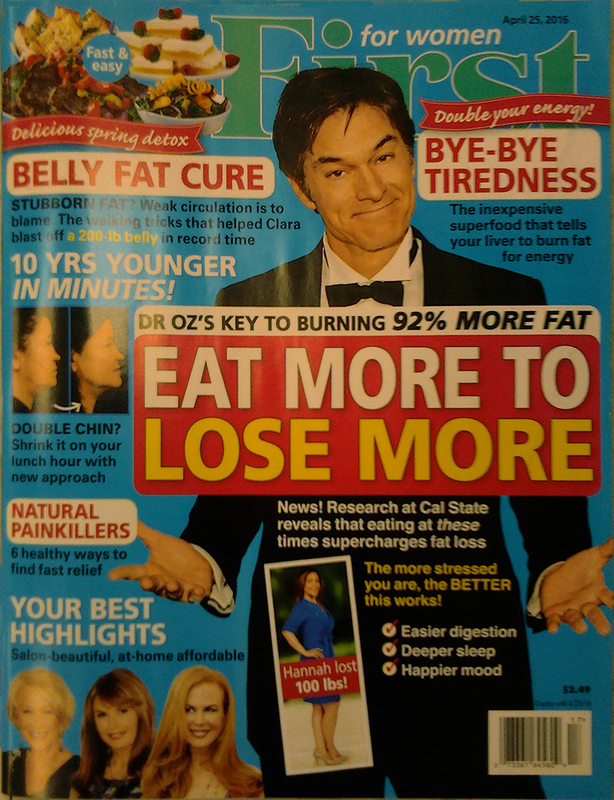 Several aspects of this quackery can be unpacked. 1. The packaging clearly indicates something about “magnetic” and “magnets” but it’s only in the smaller print that you actually learn what’s in the package. Maybe that’s obvious, but rather than label the package “Magnetic,” why not just say “Magic Magnets” or “The Power of Magnets” or “Here Be Magnets”? 2. 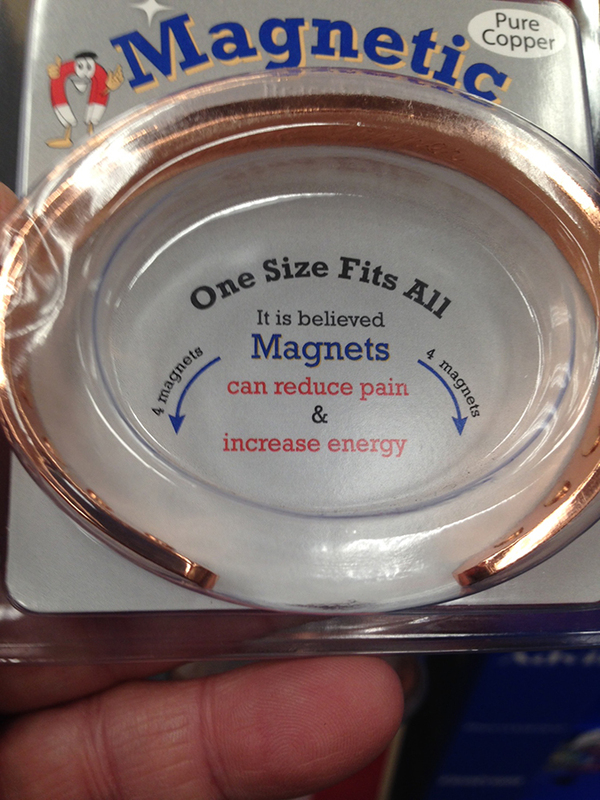 The ad copy in the center says “Magnets” but only refers to them; that is, it only implies that that’s what’s in the package. Of course that’s just quibbling about packaging. 4. 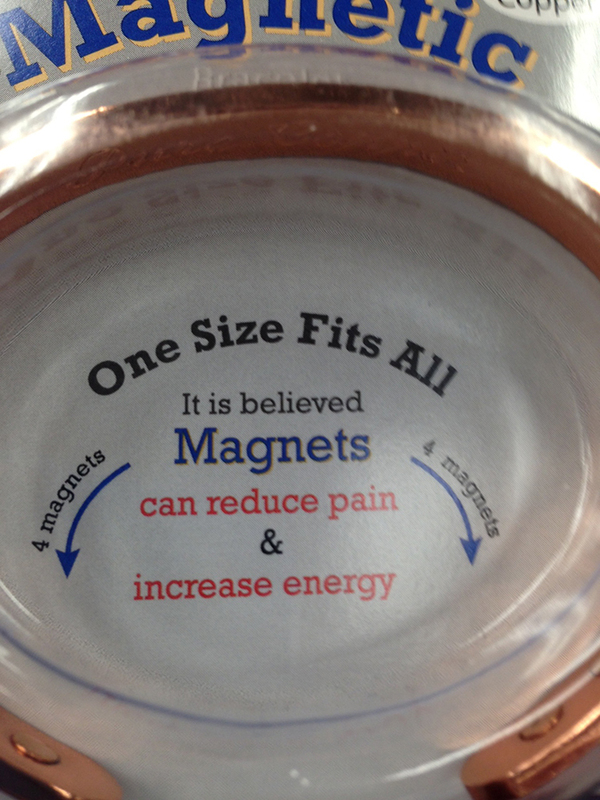 So now, the coup de grâce: the ad copy only says that “it is believed” that magnets have certain healthful (but very vague) medical/physiological benefits. Talk about your wishy-washy, FDA-skirting mumbo jumbo! I was back in the CVS a couple days ago and tried hunting down the product display, but, to CVS’s credit, it was nowhere to be found. I actually asked the pharmacy folks about it but they just rolled their eyes and said they were unfamiliar with the product. Or maybe he’s just between issues. Or getting ready for his next summoning before a Senate subcommittee. This entry was posted in Education, humor, Marketing, Politics and culture, Scams, urban legends and tagged CVS, Dr. Oz, health scams, Magnet scam, scams.